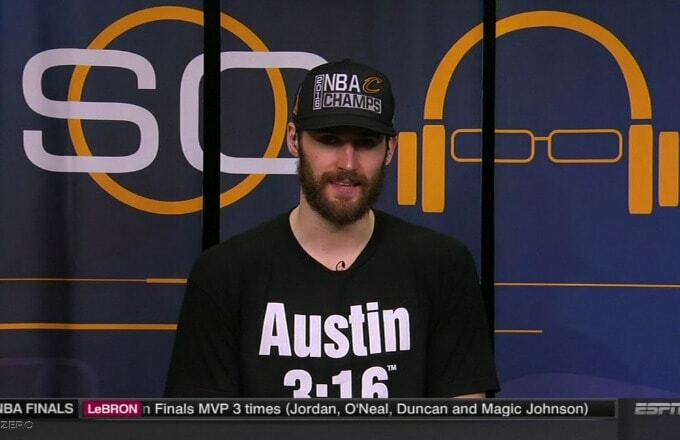 How Great Is This Clip of Kevin Love Wearing an "Austin 3:16" Shirt and Chugging Beers? Love didn’t put up the most amazing stat line (9 points, 14 rebounds, 3 assists) during Game 7 of the NBA Finals on Sunday night, but he did hit a couple of key shots and play solid defense during the game (his defense in the final minutes against Steph Curry, in particular, was great). He also brought some energy to the Cavaliers’ lineup and looked like the guy Cleveland fans were expecting when their team traded for him in 2014. As a result, Cavs fans most definitely don’t hate Love right now, and Love is—gasp—an NBA champion. Love is making the most of the moment right now, too. Unlike his teammates LeBron James and J.R. Smith, Love didn’t shed any tears following the biggest win of his NBA career. 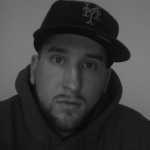 Instead, he ran back to the locker room, threw on an "Austin 3:16" shirt, and crushed a bunch of beers, because, well, why the hell not? As we said, Love is an NBA champion. I don&apos;t care if Kevin Love would&apos;ve gone scoreless, him wearing a Stone Cold Steve Austin shirt & pouring beer on himself makes him the MVP. Does Cleveland Really Hate Kevin Love?